Sahyadra denisonii common name denison barb, or red line torpedo barbs. They grow up to 12 cm / 4.5 inches fully grown. They live in water parameters of PH range 6.8-7.8, and temperatures of 22-27 Celsius / 72-80 °F. 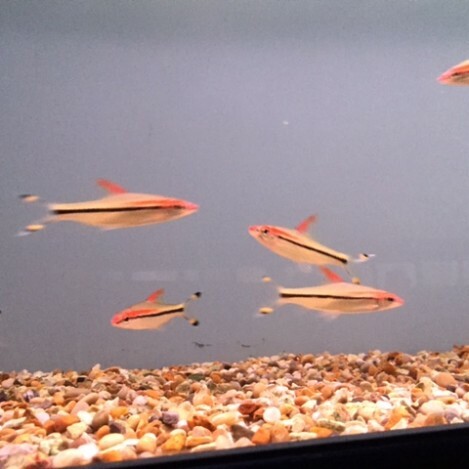 The red lined torpedo barb is actually a peaceful barb, but can still eat small fish that can fit in there mouths so mixing them with bigger fish is best. 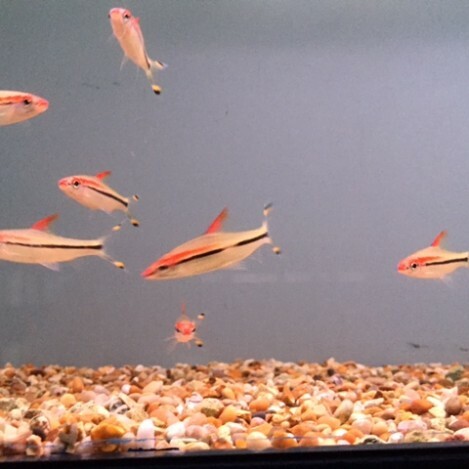 They are a very playful quick moving fish as all barbs seem to be, so mixing them in a small group is best. They eat most things like flake, granular, and pellet foods. Also live or frozen foods is good for them for a treat. 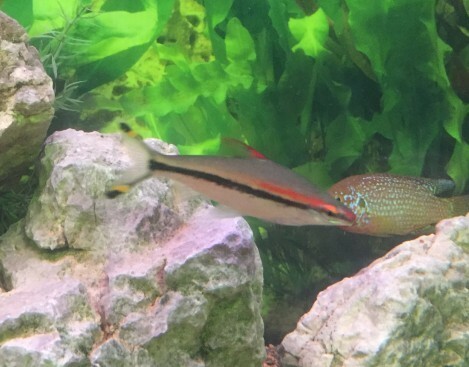 Torpedo barbs will eat most foods you put in the tank. But they will need frozen and live foods like blood worm for treats. 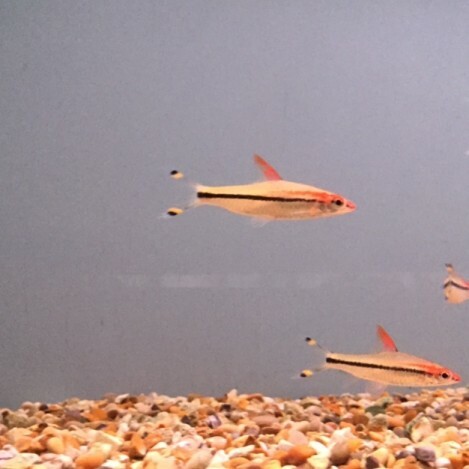 We recommend to feed the torpedo barbs once a day at the most.